"MMSD" redirects here. For other uses, see MMSD (disambiguation). Los Cabos International Airport (IATA: SJD, ICAO: MMSD) is the sixth-busiest airport in Mexico and one the Top 30 in Latin America, located at San José del Cabo in Los Cabos Municipality, Baja California Sur state, Mexico. 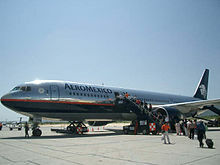 The airport serves San José del Cabo, Cabo San Lucas, and the Los Cabos area. From September 2011 until January 2012, the airport temporarily gained nonstop service to Asia with flights to Shanghai, China. The airport crossed the 5-million-traffic threshold in 2018, handling 5,249,000 passengers. It has become the most important airport in the state of Baja California Sur. 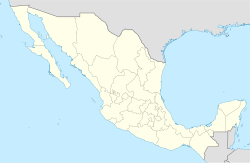 Because of a dramatic increase in the number of holiday resorts and due to the region's fast population growth, the infrastructure of the airport is now insufficient compared to the increasing demand, causing a lack of available positions for aircraft during peak-hours, as in many other airports in Mexico. 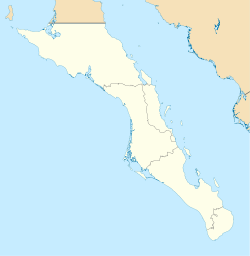 On September 15, 2014, Los Cabos International Airport was badly damaged by Hurricane Odile. Planes were knocked against structures due to the winds from Odile. Many people went to the airport, demanding flights out of Cabo San Lucas. The Mexican government began airlifting the first of thousands of stranded tourists, free of charge, to airports in Tijuana, Mazatlan, Guadalajara and Mexico City to catch connecting flights and, in the case of foreigners, receive consular assistance. The architect of Los Cabos International Airport's 1997 renovation and expansion was Mexican architect and great-grandson of Queen Isabella II of Spain, Manuel De Santiago-de Borbón González Bravo. He was a member of ICOMOS (International Council on Monuments and Sites), and his lifetime architectural legacy to Mexico adds to 11,000,000 square metres (120,000,000 sq ft) built nationwide, including famous buildings and national sites, as well as important national restorations like the Mexican Houses of Congress Palace (Palacio Legislativo de San Lázaro). The name of the airport displayed over the exit of the international arrivals exit terminal. American Airlines plane, after a flight from Dallas/Fort Worth International Airport. Restaurants and stores at Terminal. The airport has two terminals. Terminal 1 operates domestic flights, and Terminal 2 operates international flights. ^ Official statistics include airports George Bush and Hobby. The Trans-Peninsular Road has become a busy commercial and accommodation center which include the nearby establishments. ^ a b "Traffic Report". Grupo Aeroportuario del Pacífico. January 2019. Retrieved February 23, 2019. ^ "Hurricane Odile: Mexico begins airlifts of tourists stranded in Los Cabos". The Guardian. September 2014. Retrieved January 21, 2017. ^ "Sun Country S19 network additions". Routes Online. January 2019. Retrieved January 12, 2019. ^ "TUI announces flights between London and Los Cabos" (in Spanish). EnElAire. November 2018. Retrieved November 13, 2018. ^ "New Routes - Flights from Tijuana". VivaAerobus. March 2019. Retrieved March 9, 2019. ^ "New Routes - Flights from Hermosillo". VivaAerobus. March 2019. Retrieved March 9, 2019. ^ "Volaris will connect Monterrey with Oaxaca and Los Cabos" (in Spanish). A21. March 2019. Retrieved March 13, 2019. ^ "Operational Statistics of Airports in the ASA Network" (in Spanish). Aeropuertos y Servicios Auxiliares. January 2018. Retrieved March 13, 2018. Wikimedia Commons has media related to Los Cabos International Airport. Airport information for MMSD at World Aero Data. Data current as of October 2006.